The Company will provide to the Customer (or user herein named Customer), and the Customer will acquire from the Company, telecommunication services in accordance with the terms set out on the signed contract and in these Terms and Conditions. The Customer’s contract is with the Company alone, which has obtained the right to provide the services contemplated herein from their providers (including but not limited to Cellcom, Bezek, Pelephone, etc), and the Customer has no rights whatsoever vis-à-vis those service providers. All information from the providers concerning use of the telecommunication services which are the subject herein, including but not limited to, use thereof, details of calls, times and length thereof, or any other information, shall be provided by the providers to the Company only. The Customer waives all rights of privacy with respect to such information. The Company reserves the right to cancel the service to the Customer, and disconnect the service, for any reason. The records, invoices and other records of the Company and/or the providers with regard to the telephone and service which are the subject herein shall be binding on the Customer. The Company may include the name and other details of the Customer in any database or publication of the Company. Provision of services by the Company is subject to fulfillment by the Customer of all of his obligations hereunder, including but not limited to, payment of all charges on his account for calls (including primary and third party usage and connections), data calls and additional services. The Company reserves the right to make changes to the rates without prior notice. The Company reserves the right to modify existing or contracted rates in case of fluctuations in the currencies market, including but not limited to assessing a fee or surcharge to equalize currency values to the current Israeli shekel. The Customer hereby irrevocably authorizes the Company to charge his credit card, as set out on the signed contract, for all charges incurred by the telephone which is the subject hereof. The Customer understands that payment through any other method (such as but not limited to cash, check and so on) may incur an additional processing fee. This agreement shall have full effect notwithstanding that the actual user of the service may be less than 18 years of age. The Customer recognizes the right of the Company to access, evaluate and exchange the Customer’s credit history in order to service the account. In case of a change in the Customer’s personal information (such as, but not limited to, change of billing / home address, user’s program information, etc. ), the Customer bears full responsibility for providing the Company with the updated information. The Company will not be obligated to compensate for discounts lost because of delinquency on the part of the Customer to provide such information. Failure to provide the Company with the same may result in disconnection of service. Billing cycles and other Company actions may be interrupted by a force Majour. The Company will not be liable in case of the same. The Company reserves the right to suspend or terminate service to the Customer at any time with or without notice in case of negligent payment by the Customer. The Company will do its best in full faith to contact the Customer according to the contact information set out on the signed contract in such event prior to such termination. The Company reserves the right to assess a service charge or reconnection fee as a result of suspension, or resumption of service after payment has been received in full. Fees currently stand at $25.00 US (as of February 2008). In the case of Customer legal dispute of previously collected payment (e.g. a “chargeback”), upon resolution of the dispute in favor of the Company, the Company reserves the right to assess a processing fee, currently set at $35.00 USD (as of January 2007). In the case of protracted negligent payments, the Company reserves the right to file Delinquency Report(s) with any or multiple credit agencies and bureaus. In addition all fees and costs related to the collection of monies owed under these terms and conditions are the sole responsibility of the customer. Penalties for overdue bills may be charged, according to the היתר עסקה of Bank Mizrahi Israel. The Company may collect a monetary security deposit from the Customer, in whole or in part, as set out on the signed contract. The security deposit may be collected as soon as the Customer’s account has been opened, even if the Customer has not begun service. Upon termination of the account, the Company will credit the Customer’s account and any previous outstanding balance with the same on or after the final statement. The Company reserves the right to demand that the Customer increase the deposit in such amounts as the Company deems appropriate (for example, but not limited to, in the case of an exceptionally high volume of usage). The Customer is aware that the Company is providing some services through the Pelephone network, and therefore the Customer shall be subject to all of the rules, regulations, terms and conditions applicable to such service under Israeli law or under Pelephone’s general agreement for provision of telecommunications services. The Customer is aware that such agreement provides specifically, and without limitation, that neither Pelephone nor any employee or representative thereof shall have any liability for any damage, specific, direct or indirect, caused as a result of the limitation of the cellular service, its suspension, disconnection or termination, in violation of the general agreement, whether consciously or by error, or by error with regard to Bezek, or non-inclusion in any Bezek electronic record, or any delay in any of the above. The Customer will be billed for usage on the equipment according to the monthly usage data provided by Pelephone and/or any outside providers according to the standard billing cycle of the Company. In the case of delay of transmission of said monthly usage data (for example but not limited to a call from two months ago only being provided to the Company for billing now), the usage will be charged against the current cycle calculated at the current rate for usage (including totals of minutes against allotted packages). The Company cannot support retroactive delayed calculations at previous tariffs. The Customer is further aware that the service provided by the Company is subject to the quality and availability of the Pelephone service in Israel. 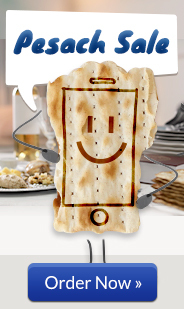 In particular, the Customer is aware that cellular telephone service may not be available in all parts of Israel or the territories administered by the Israel Defense Forces or the Palestinian Authority, or that conversations may be of poor quality, or may disconnect from time to time and from place to place. The Customer shall have no claims whatsoever against the Company or Pelephone with regard to the above. The Customer understands that the Company is in no way responsible for any damages or harm incurred on the Customer’s self or to others during usage of a phone or any of its accessories. This includes both direct and indirect damage. The Customer may not at any time transfer or sublet their contracted service to any other person or institution. Notwithstanding the above, the Customer shall be responsible for all charges incurred by the telephone number or rented equipment of the Customer, whether or not such use was made by the user or was authorized by the Customer. It is explicitly stated that if the equipment is stolen or otherwise taken unlawfully, the Customer shall remain liable for the charges incurred through the Company’s service until the phone line or PIN is actually disconnected by Pelephone or the relevant provider after due notice. Customer is aware that sole responsibility to disconnect the line in case of theft or loss is his alone. The Company may also cancel the service to the Customer and disconnect the service without notice and with immediate effect if the Customer is in breach of its obligations to the Company or violates applicable Pelephone rules and regulations or any law, rule, regulation, term or condition of cellular telephone service under Israeli law. If the Customer makes calls or uses services in a way that differs from the printed directions enclosed with their rental equipment including but not limited to forcing calls through a third-party international carrier (e.g. 012, 013, etc) the Company is not required to honor the rates as per the contract. If the customer does not report defective equipment during the rental period, and allow for the matter to be resolved or for troubleshooting to be attempted, the customer will be liable for all fees and costs associated with the rental for the duration of the rental period. Although any user may be specified on a contract with the Company, it is still the legal obligation of the credit card holder that is listed on the customer’s contract to pay for all fees, including but not limited to, calls, monthly fees, delivery fees, services and VAT (value added tax) incurred by the user. Under no circumstances may the credit card holder refuse payments based on any non-agreement with user’s calling patterns or for any other reason. VAT (value added tax, at the rate set by the Israeli government) shall be calculated for and added to all charges, including but not limited to, call rates & charges, rental fees, insurance fees, service fees and delivery fees. The Customer may opt to have insurance coverage on his rental equipment (many rentals have mandatory insurance). Insurance coverage is per Pelephone’s standard insurance terms, and covers repair of telephone handsets when repair is possible, and replacement of handset in the case of loss, theft, or irreparability. Replacement will be conditioned on the payment of a deductible by the Customer, paid directly to the Company. Rental insurance covers the telephone handset only. Accessories (such as, but not limited to, chargers, cases, etc.) are not covered by the rental insurance. If a customer chooses to decline rental insurance, they will be responsible to pay for repair and/or replacement of damaged and/or missing rental equipment. See paragraph 14 below. When the Customer’s equipment is covered by insurance, then in the case of theft or loss of the telephone in Israel, such telephone shall be replaced with a similar instrument or instrument of similar value, at the discretion of Pelephone or the Company, in accordance with Pelephone’s standard insurance terms. The Customer specifically understands that when his equipment is covered by insurance, replacement of a telephone as a result of theft, loss, or damage is conditioned on the payment of a deductible by the Customer. Neither the Company nor Pelephone shall have any obligation to the Customer, to the User or to any other person as a result of the unavailability of the use of the telephone while awaiting repair or awaiting replacement. Equipment that needs to be serviced may be done via Pelephone’s repair services or directly through the Company. Insurance coverage covers repair up to the stage of complete loss. Definitions of “complete loss” in regards to the reparability of equipment will be determined by Pelephone. Tampering with internal components of cellular equipment (such as but not limited to phones, GPS units, etc.) when a label indicates that such action will void the warranty will also result in a “complete loss” penalty. Courier service to bring equipment in, to be serviced either by Pelephone or the Company, and / or to return equipment to the Customer after such service, will be charged according to a fixed rate schedule depending on the location of the Customer. The term of this contract begins on the date specified on the signed contract. The Customer shall pay the charges incurred in connection with the telephone each month for the duration of the contract, whether or not the telephone is actually in use during any portion thereof. If the Customer returns their equipment or in any way terminates the account before the contracted length of time has passed, the Company reserves the right to charge a cancellation fee, penalties and / or the remaining contractual obligation of fees. In order to terminate a long term contract the Company must be informed that the Customer wishes to close the account on, or prior to, the last date of service. Failure of the Customer to close their account with the Company will result in continued monthly charges regardless of whether the telephone is actually in use. Prior to the start date of the rental period cancellation of the order for a Short-term rental (under two months) will incur a cancellation fee currently $15 as of May 2015. Cancellation of a long term rental will incur a fee of $15 in addition to any set up fee on the order which will have to be paid. Furthermore, all shipping and handling fees will stand and the rental equipment must be returned to the Company within 5 days from the date of the cancellation. Occasionally the Company may require a minimum level of outgoing call usage per month from the Customer in order to guarantee contracted rates, specials, and the like. In this case, the signed contract will state that a certain offer is dependent on a minimum level of outgoing usage. If the minimum usage requirements are not met, the Company reserves the right to bill additional fees to the Customer for the entire sum duration of the contract or to take other action, as per the original agreement. Example one: a monthly rental rate might be $9.99 but only if the Customer has $10 worth of calls in that period. Example two: a line unused for outgoing calls in a certain time period may be terminated. Unlimited voice or text packages or plans are provided with the understanding that they are primarily for voice services (dialogue) or text services (individual messages) as used by a single Customer and not shared, and that they are not utilized primarily for call forwarding, conference calling or broadcasting to mailing lists. In case of abuse, defined as usage exceeding that of normal, single person live dialogue or text or data transmission (roughly approximate to 5000 minutes per month or 5000 outgoing texts or 5 gigabytes of data), the Company may, at its option, terminate the Customer’s service or change the Customer’s plan to one with no unlimited usage components. Note that regarding data, transmission speeds may be reduced after approximately 5 gigabytes of usage. Unlimited packages or plans may not be used for data transmissions or broadcasting, or excessive call forwarding. The Company reserves the right to limit special offers such as but not limited to free minute plans to one per user. Customers on plans with different tariffs for different types of calls (for example but not limited to calls to Pelephone numbers, usually with an 050 prefix) will be billed according to the actual service incurred – that is, if a destination number has been ported to a different source than its origin (as in the example of an 052 Cellcom number ported to Orange service), the Customer will be charged according to the current service, not the original service. This is notwithstanding the fact that a Customer may be unaware of the destination number’s status. Additionally, rates are not guaranteed for access number, * numbers, shortcuts, or service calls, such as but not limited to 1-800 type numbers, calling cards, Information, etc. Plans and packages are by default calculated and billed based on full minute increments; exceptions will be noted on the signed contract between all parties. Short-term rentals (under two months) must be returned to the office from which they originated, e.g. phones delivered from the Jerusalem office, i.e., within Israel, must be returned to the Jerusalem office, and phones delivered from the New York office, i.e., within the United States, must be returned to the New York office, etc. All smartphone rentals come with Otterbox cases and a charger. In the case that these are not returned a charge of $50 for the Otterbox and $20 for the charger will be charged to the customer. If the phone itself is damaged an insurance deductible of $100 will be charged in all cases where the phone can be repaired. If the phone is lost or stolen or damaged beyond repair the customer will be charged between $200 and $400 for the replacement. The charge will vary dependent on the phone model. If the phone is not returned to the Jerusalem office the customer will be charged between $200 and $400 for the replacement. The charge will vary dependent on the phone model. iPhone rental customers must remove their Apple ID and password from the phone before returning the phone. A $39 removal fee will be charged for customers who do not remove the Apple ID. Until the Apple ID is removed late fees will accumulate. The new student plans on the website are applicable for the 2017-2018 academic year. The plans will take effect as of August 22, 2017. Plans starting prior to this date will have the following changes: The $29.97 plan will have 10GB; the $39.97 plan will have 20GB; and the $59.97 plan will have 45GB. Customers who signed up before August 04, 2017 are eligible for a limited-time data allotment (20GB on the $29.97 plan instead of 10GB, 30GB on the $39.97 plan, and 55GB on the $59.97 plan). Customers who are eligible for the free month of international SMS and choose the plan during the signup process will receive the first month of international SMS for free. After the month has ended the plan will continue at $9.97 a month. Customers who sign up after August 1, 2017, will receive the previously mentioned student plans. Daily short term plans are divided between up to 7 days, up to 14 days, up to 30 days, up to 60 days, up to 90 days. On each plan when surpassing the amount of days that the plan is for an extension fee of $10 will be charged. on premium bundles which include the mobile hotspot, the extension rate will be $15. Smart Phone insurance provided by TalknSave is only applicable after signing up and providing an IMEI number. Only the phone with the aforementioned IMEI will receive the insurance. Any phone without said IMEI will not be insured. The cost for the Smartphone insurance is $10 per month. Insurance is approved upon proper signup (as aforementioned, the customer must provide his IMEI number). Once insurance has been approved, the customer is eligible to claim only after 21 days. The insurance holder is obligated to inform TalknSave about adding, updating or changing the IMEI number on his insurance package. To file a claim, the insurance holder must call Customer Service who will work with you to process your claim. A replacement device as awarded to the claimant for free for one month if it is classified as ‘Total Loss’. Total Loss is defined as cases where the insured smartphone has been lost or broken in a manner deemed irreparable by our technician. After one month, the claimant must pay $15 per month or the current standard cell phone rental cost. Replacement devices will be a new device of like type and quality. In claims not deemed ‘Total Loss’, the claimant will receive repairs from TalknSave’s in-house technician. For the first claim, must pay a non-refundable deductible equal to 50% off the market price for assessing and repairing the insured smartphone. Subsequent claims will result in a non-refundable deductible equal to 35% off the current market price. Customers who are renting equipment terminate their contracts upon the return of the equipment to a Company representative. In the case that the Customer cannot return the rental equipment (as in a case of theft or loss), the Customer’s contract will be terminated as of the date the Customer declares to the Company their desire to terminate and to have the Company replace the equipment. Customers who are only using SIM cards terminate their contract explicitly in writing, by telephone or through MyTalknSave. The Customer understands that they will be billed for usage and/or rental fees that accrued before the date of termination, notwithstanding the fact that invoices and charges will be processed after that date, that is, termination of the account does not terminate the obligations of the Customer as set out in Paragraph 2 vis-à-vis payment for usage and fees incurred by the Customer’s account prior to termination. A Customer’s account will only be fully closed once all outstanding payments are resolved. The signed or electronic contract, together with these Terms and Conditions, constitutes the entire agreement between the parties, and no amendment or modification hereto shall be in force unless it is in writing or via email. The Customer acknowledges that changes made to the contract including termination of the same through the medium of email are legal and binding when confirmed by the Company. Any disputes between the parties shall be adjudicated by the rabbinical courts of Jerusalem under halachic (Jewish) law. Service of process on the Customer may be made at the address of the Customer, as set out on signed contract. Furthermore, these Terms and Conditions are subject to change at any time and without notice.